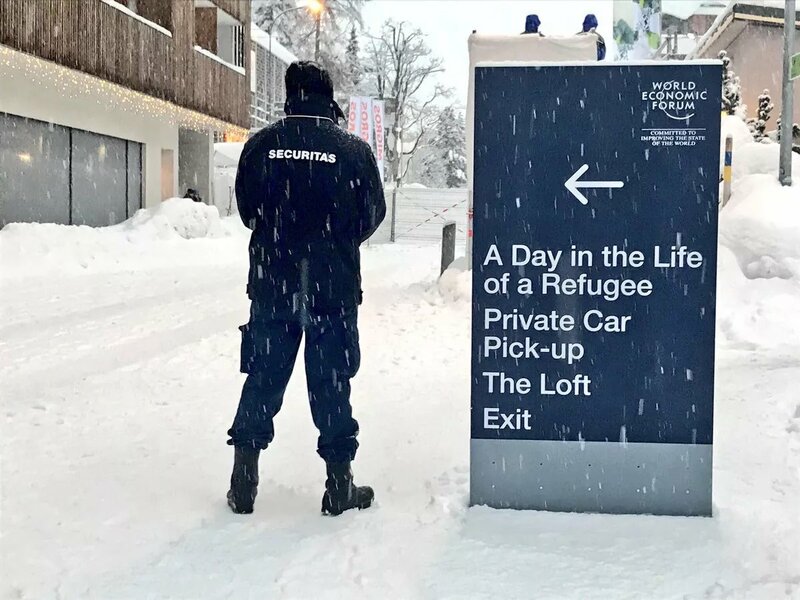 THE global great and good of neoliberal capitalism have gathered in the Swiss ski resort of Davos this week in what is a close approximation to a meeting of the Central Committee of the bourgeoisie – or at least international finance capitalism. Understandably, Brexit was high on the agenda. But why? It is interesting to remember that back in the early 1970s – when the UK was negotiating to join the then Common Market – the City of London and Britain’s financial sector were openly hostile to the idea of membership. They feared over-regulation by Brussels would interfere with the City’s new-found role as a centre for minting euro-dollars and so providing US multinationals with an off-shore haven to buy Europe and the world. As it transpired, post Thatcher’s further deregulation of the City in the financial ‘Big Bang’ of 1986, London simply mowed down French and German competition to dominate global finance. It still does today. Which is why – in contrast to 1975 – the City is peeing itself over Brexit. Today the City of London provides the financial plumbing for global investment and trade. London is home to 80 per cent of Europe’s capital markets and centre for over £500 trillion (annually) of derivatives trading. The latter constitutes the basic way finance capital packages and repackages global profit flows – sucking in value created by the world’s wage labourers and redistributing among the various imperialisms. A Hard Brexit threatens this elaborate piece of clockwork. Partly by exposing the sheer lunacy of capitalism: The City is nothing more than half a million over-paid flunkeys shuffling imaginary electronic accounts which “capture” and store value created by others. Partly by triggering a ruinous fight for London’s financial business between New York, Paris, Frankfurt, Hong Kong and Shanghai. And partly because the chaos involved might cause another global financial crisis. As it happens, the value of European bank shares has dropped by 35 per cent since last year. It is now close to where it was during the euro debt crisis of 2010. This is because continental banks have funded themselves not via deposits (who saves?) but by borrowing heavily in US dollars, often on risky three-month contracts. Which I call an accident waiting to happen. European capitalism is hanging by a thread. BOLSONARO: WILL BRAZIL COPY CHILE? In the combined absence of Trump, Xi, Merkle and Macron, the only “star” show at this year’s Davos was the new Brazilian caudillo, Jair Bolsonaro. Undoubtedly, Mr Bolsonaro is a semi-fascist thug. But we should be wary of dismissing him as just another “populist”, to use the current jargon. 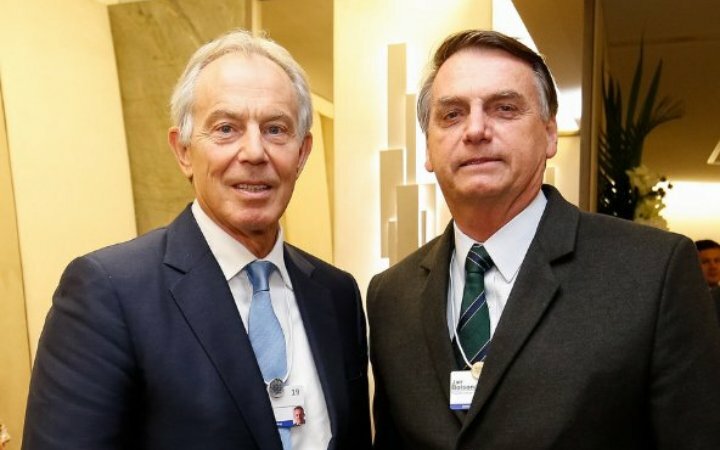 As his speech at Davos proved, Bolsonaro is a neoliberal campaigning to deregulate the Brazilian economy and – most important – move away from protectionism towards reintegration with the global market. Ex-military officer Bolsonaro is no economist himself but he has hired as his economics guru Paulo Guedes, 69, a technocrat who studied at Chicago University under Milton Friedman before working in Chile under Pinochet. Guedes is an interesting choice to run the Brazilian economy. He favours a liberal shock treatment for the economy as used in Chile. This includes privatising Petrobas, the giant state oil company – which means an influx of foreign investment. Guedes is also dedicated to rooting out the endemic financial corruption that infests the Brazilian ruling class (and did for the former Socialist leader, Lula da Silva). Question: is Guedes mere ideological window-dressing or does he represent a modernising wing of the Brazilian ruling class. If the latter, how soon before he comes into conflict with Brazil’s uber nationalist military, who favour local ownership and protectionism? And which way will Bolsonaro jump, if there is a showdown? My bet is on the boys in uniform. 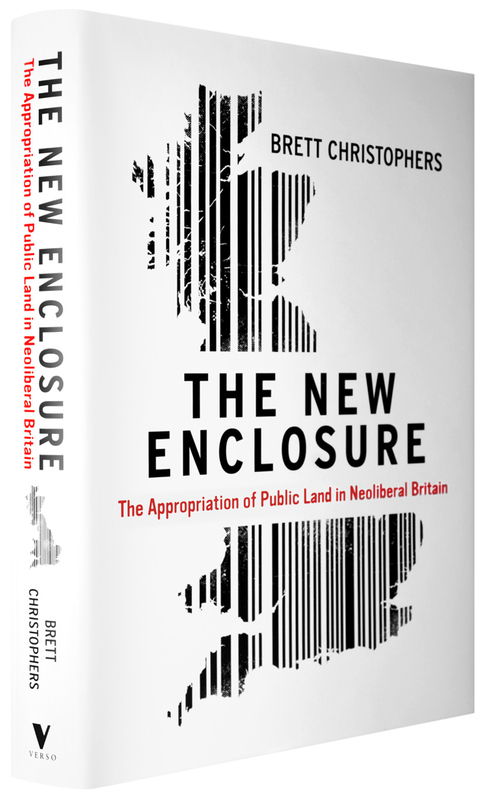 For those of you in need of light reading, try THE NEW ENCLOSURE: THE APPROPRIATION OF PUBLIC LAND IN NEOLIBERAL BRITAIN, by Brett Christophers. As I’ve written here before, the UK is unique among the big industrial economies because the majority of wealth is held in land and property. In 2017, out of a total wealth in Britain of £9.8 trillion, land accounted for £5 trillion and houses another £3 trillion. This explains why we are rubbish at productivity, because the ruling elite does not invest in factories or technology. Christophers’ new book explains how this happened. Basically, Margaret Thatcher flogged off public land, council houses, playing fields, military bases, and NHS property at way below real value, to private owners. Put another way, the assets given away by Mrs T. matched in value almost the entire National Debt in 2008, just before the great Bank Crash. Which raises once again the imperative for a land tax of some kind. We have the powers to introduce such a wealth tax in Scotland, even under devolution. This is an acid test of just how radical the SNP administration actually is. This is real and refreshing to read. Scotland needs a coterie of writers and writing to elevate crititical thought on the condition of society and build a new ideology. This is long way from the opencast coal days with Richard Saville and some researcher. Thank you for the inverted commas on “populism”. There’s a whole book to be written on why extreme right-wing and fascist theory is said to be populist – not just by our own Daily Mail/BBC – and how to make ideas like workers’ rights, environmental rights, social justice and fairness, popular among those they would benefit. Who first coined the word populist, I wonder? As an SNP member, not to mention Scotland’s most astute and incisive columnist and critic, you’ll know, better than most, “just how radical the SNP administration is”.